Famousteacupshihtzu.com is not a puppy breeders website and this is not a review of Famousteacupshihtzu.com. This is a warning. 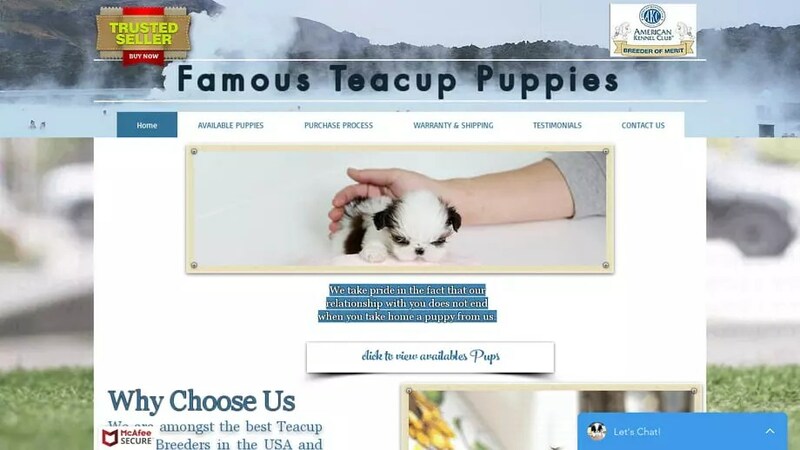 Famousteacupshihtzu.com will claim to deliver the puppy using a Fraudulent Delivery company. Famousteacupshihtzu.com was registered on April 8, 2019 with NAMECHEAP INC .
Famousteacupshihtzu.com was registered using the email address 4a6b2914fbc541a58e9f76aadd51359e.protect@whoisguard.com. Famousteacupshihtzu.com was registered with the domain registrar NAMECHEAP INC.
To send an abuse report to NAMECHEAP INC please click the red button below and complete the email to help shut down Famousteacupshihtzu.com! I just gave these people my name, address, phone number, and email address. I am sick after seeing your information. I was so excited and ready to send them money. They emailed me from famousteacupshihtzu@gmail.com with a phone number of (405) 780-4431. They sent me a contract to sign. It has 5413 E 65th Place, Tulsa, OK 74136 on it.